What Types of Nootropic Stacks Are Available? A nootropic stack refers to combining two or more nootropic substances together in order to make a stronger version of cognitive booster. It’s rare to use just one nootropic nowadays. Why use one when you can enjoy significantly better benefits by combining multiple supplements? Many nootropics complement each other, building on the strength of one another and enhancing the effects, a great example of being stronger together than apart. Some nootropics, for instance, reduce the deterioration of acetylcholine while others encourage the acetylcholine receptors to work more efficiently. Combining supplements such as Piracetam (or the other racetams) together with nootropics such as choline will vastly improve your brain’s acetylcholine levels, which can have a dramatic effect on your cognitive function. You wouldn’t get quite as good results with just Piracetam alone. Combining different nootropics can also widen the mental benefits, such as stacking a memory enhancer alongside a nootropic to boost mood, and another to improve concentration. That stack will deliver all-round benefits, potentially great for studying. Other nootropics reduce side effects associated with other members of the stack. Taking a racetam with a choline nootropic, for instance, will help you enjoy the benefits of a racetam without the headaches that may come with it. Racetams – What Are They and How Do They Work? There are two options when it comes to stacking nootropics – you can either buy a pre-made stack or build your own. As a beginner, I would suggest buying your own ready-made stack, if for no other reason than the correct dosages are already worked out for you. It’s convenient, and time-saving. The downside of buying a ready-made nootropic stack is lack of control. You have no choice over the dosages – and what works for some may not be strong enough for others – and you are limited to the ingredients already in the stack and one manufacturer. That said, there are some great nootropic stack supplements on the market. The other option is to make your own nootropic stack. You can buy each individual ingredient separately and weigh out your own dose, giving you more control over how much of each compound to take. It is, of course, a more labour intensive option, but it does allow you to tailor your stack to your own individual needs, and to switch out ingredients that don’t work for you. You can also choose nootropics made by different manufacturers. I would recommend that you only build your own stack if you are willing to put in the time to research and test the ingredients and dosages. (I’d suggest taking each ingredient or supplement on its own first to see what it does to your body and then slowly mixing it with a second and third nootropic). It may take a lot of trial and error to get the right mix, and be more expensive than buying a pre-made stack. Whether you want to make your own stack or choose a ready-made one, you need to know why you want to use nootropics in the first place in order to choose the best brain boosters for you. Ask yourself – what do you want to achieve with your stack? How often do you ideally want to take it? Do you want to take nootropics to improve your memory, for instance? Or to help you concentrate and finish that board report or essay? Perhaps you want to banish anxiety, allowing you to give that presentation. 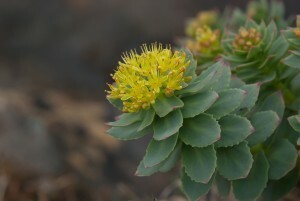 If you want to improve motivation and mental energy, for instance, you could stick to a dopamine-enhancing nootropic, such as Noopept or Rhodiola rosea. A lot of people also turn to nootropics to tackle age-related cognitive decay. Your goal will decide which nootropic compounds you should use, and which to mix together to best effect. Research is therefore important. Use this website to research both ingredients and pre-made nootropic stacks. Remember that most nootropic benefits tend to accumulate over time, so expect to give it a few weeks to see the best effect. Nootropics have been around for decades but are now really starting to come into their own. As a result, there are numerous pre-made nootropic stack supplements now on the market. Cutting through the marketing claims and choosing the right stack for you, however, can be difficult. It is worth taking the time to research each individual ingredient and check the doses before buying, but not everyone has the time or the knowledge to do so yet. It is made especially problematic when quite a few of the manufactured stacks hide their ingredients and doses behind patented ‘special blends’. The good news is that I’ve done a lot of the work for you. Check out my Review section to read my independent conclusions on many of the nootropic stacks on the market today. I examine the ingredients, determine their potential effects and assess their effectiveness. 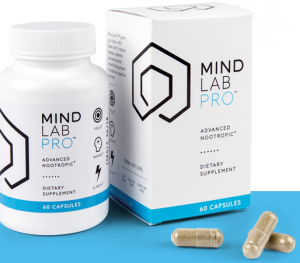 I’m a big fan of choosing all-natural compounds for a safe but effective cognitive booster, so I’d recommend trying either Mind Lab Pro or Alpha Brain. Both are great nootropic stacks to try as a beginner. They’re also useful for an experienced nootropic user. If you’re feeling brave and prepared to do your homework, you may want to try making your own nootropic stack. The idea can be intimidating, but you can start by making a fairly simple stack to christen your nootropic stack ambitions. You’ll just need nootropic ingredients in bulk, a digital kitchen scale or similar, capsules and an encapsulation machine. Stacking two or more natural nootropics together is an ideal way to ease into the world of nootropic stack building. A popular natural stack is a mix of caffeine and L-theanine. Now, let me first issue my usual caveat. Caffeine is NOT a nootropic. The definition of nootropic states that a compound doesn’t have side effects, but as we all know, high concentrations of caffeine can be quite potent. Cue headaches, the jitters and anxiety. Despite that, caffeine is often the one ‘drug’ people turn to when they want to boost their concentration or cognition, or even simply to stay awake and alert. Its stimulant properties do come in handy. So, if you’re using caffeine already, why not add a natural nootropic to the mix that actually reduces the side effects that you might experience? L-theanine helps to create a feeling of relaxed alertness and works well with caffeine. The mix together boosts concentration and energy, while also reducing anxiety. 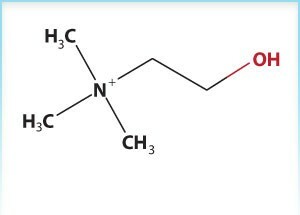 A good mix is four parts L-theanine to one part caffeine (ie, 400mg L-theanine and 100mg caffeine). As a beginner, of course, you may want to begin with a lower dose. You can either make this stack yourself or buy it ready made. It is a mild enough stack to be taken every day, but is strong enough to give a significant boost to energy, concentration and mood. As you can imagine, it’s a popular one with students. Another popular combination stack to improve learning, focus and memory is a stack of Bacopa Monnieri, Lion’s Mane and Ginkgo Biloba, all ingredients in my Natural Nootropics That Work list. This stack both helps to boost cognitive performance as well as offering relief from symptoms such as depression and anxiety. The usual dosage recommendation includes 100mg Bacopa (twice a day), 240mg Ginkgo (once a day) and 500mg Lion’s Man (once a day). Note that this is not likely to be an ‘’instant success’ stack, but may take up to three months to kick in to full effect. If you want a more immediate boost, it’s worth opting for a synthetic nootropic stack and using racetams. Unlike other fans of nootropics, I’m not going to recommend you use a smart drug in a nootropic stack, particularly if you’re just starting out. In fact, I don’t recommend smart drugs at all, though I do believe in informing people about them. Racetams are the original nootropics, first discovered in the 1960s. They are also the substances which will have the most immediate effect on your brain, so you should notice results pretty quickly. I would recommend Piracetam for beginners; it’s a great entry-level nootropic and strong enough to be effective but not too much to be overpowering. Once you’re used to Piracetam, you may want to step up a gear and opt for a stronger racetam, such as Oxiracetam or Aniracetam. The former is particularly good for logic and analytical-based thinking as well as memory, while the latter is a good step up racetam and helps enhance mood. Stronger options still include Noopept, technically not a racetam but often included with it. Be aware, however, that Noopept has a superior ability to cross the blood-brain barrier, making it up to 1,000 times more effective than any racetam. Adding a choline source to your racetam of choice is a good idea because it helps to prevent headaches that can be a consequence of racetam use. Racetams improve the functioning of acetylcholine in the brain, but the body can’t produce enough of the neurotransmitter if it doesn’t have enough choline in the first place. Headaches are often the result. Adding a choline source such as Citicoline or Alpha GPC to your homemade nootropic stack, therefore, helps to enhance the effect of the racetam, as well as boost other areas of the brain and support healthy brain activity. Piracetam + choline is probably the world’s most popular nootropic stack. Getting the right dosage of Piracetam and choline is crucial in making sure that you see the full benefits. Studies show the best dose of Piracetam is at least 4-5grams taken two to three times a day, thanks to the supplement’s short half-life. Depending on which choline source you use (I’d recommend either Citicoline or Alpha GPC), you should aim for a ratio of choline to Piracetam of about 8 to 1. If you use a lower quality choline source, you will need more of the substance. As I illustrate in my Natural Nootropics That Work list, some of the best nootropics come from the natural world. Whether they are herbs, vitamins or minerals, adding a third natural ingredient to your stack can help to improve focus, memory, concentration or more, all with very few if any side-effects. Natural nootropics aren’t typically as strong as synthetic ones, but they can be powerful in a stack. Depending on your nootropic goals, you can add just one natural nootropic – popular ones include Ginkgo Biloba, Bacopa monnieri, and L-Theanine; caffeine is often included though it isn’t technically a nootropic – or you can add two or more to your stack. 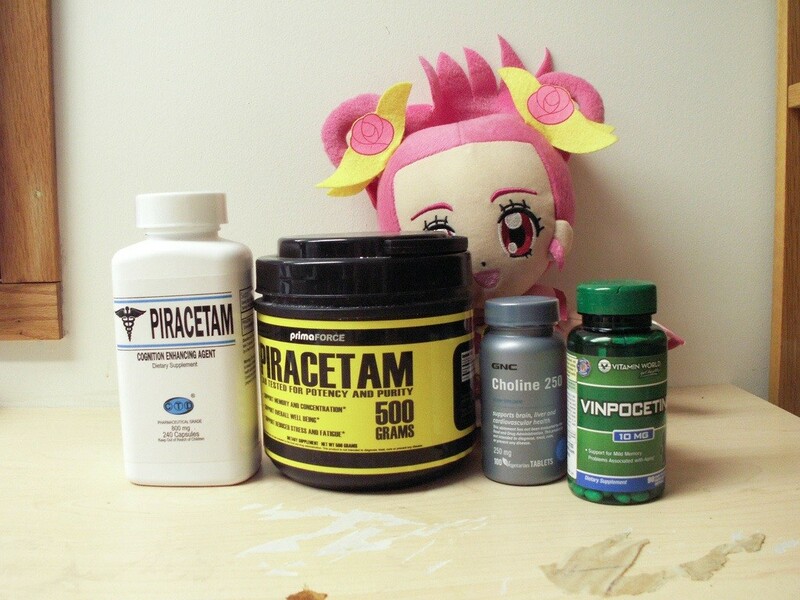 A good stack to enhance memory for instance could include Aniracetam, Citicoline and Vinpocetine. You could also add Centrophenoxine, another choline source, particularly known for its memory-boosting qualities. A stack to help with mild anxiety could include Aniracetam, L-Theanine, Bacopa and choline. There are literally hundreds of potential combinations. Knowing what you want to achieve, therefore, is crucial to knowing which combination to go for. When putting together any stack, natural or otherwise, be sure to do your research on dosages. Some nootropics are much stronger or more potent than others, and each ingredient requires its own particular dose. Thinking about trying the mind lab pro. Should I stack a racetam with it or is it meant to be a product taken only by itself? Hi Brian. Mind Lab Pro should be safe to stack with a Racetam if you wish to do so, and it should result in a stronger cholinergic effect. But personally I find the Mind Lab Pro to be enough on its own. I think the Bacopa + Citicoline combo is a great idea. I really enjoy Ashwagandha as well (and that dosage looks good), but I use it on an “as needed” basis; namely when I want to relax. Ashwagandha does have thyroid benefits, so if you’re taking it to improve your thyroid function or for metabolic reasons, then sure: taking ashwagandha daily isn’t a bad idea. But for cognitive enhancement? I recommend saving it for when you need that relaxation/mood boost.